Cushendun (Cois-abhann-Duine, the mouth of the brown river) is, like its hand woven tweeds, an altogether warmer and more human proposition. The village lies at the entrance to Glendun, one of the famed Nine Glens of Antrim. Here, Shane O’Neill, of whom Lord Deputy Sidney complained to Elizabeth that “This man could burn it if he liked, up to the gates of Dublin and go away unfought”, was murdered in 1567 by the MacDonnells with whom he had sought refuge after defeat. And here Moira O’Neill, the poetess of the Glenns, was born. The Glendun River, given a plentiful supply of water, has a good run of sea-trout and salmon in August, and is easily fished: proved sea-trout flies are Blue and Silver, Professor Peter Ross, and Greenwell. The best of the brown trout fishing is to be found in the upper reaches of the river. 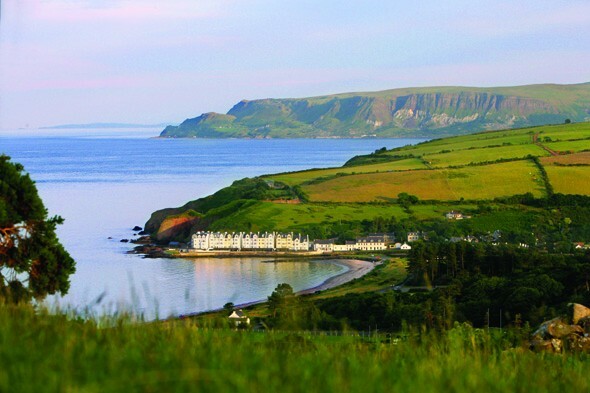 Cushendun is a must see attraction that is worth a stop on your tours of Ireland. Contact us now to organise your visit!